CALUMET — This past weekend history was made in the Copper Country. Calumet is officially Kraft Hockeyville USA 2019 and will host an NHL preseason game. After much anticipation Calumet has officially been named Hockeyville 2019. 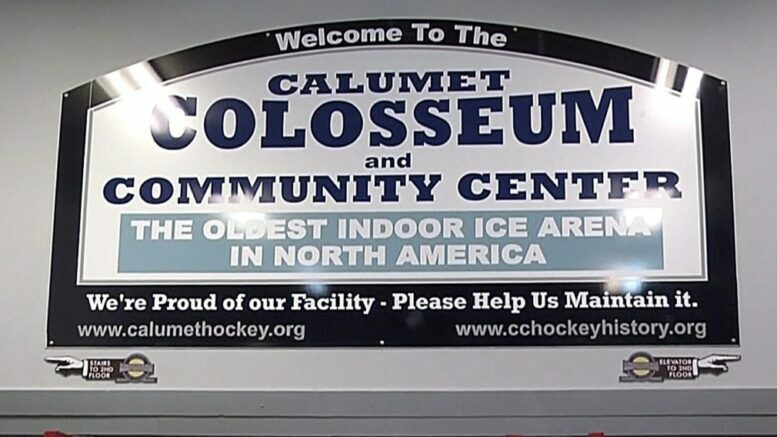 Not only does Calumet get the title of Hockeyville, they will also host an NHL preseason game. They also received $150,000 prize for upgrades around the rink. The $150,000 will not cover all the needs, but it will certainly help. The Colosseum was built in 1913 when Hockey was already established in the Copper Country. Over the years a lot of community work and effort has gone into making the Colosseum what it is today. “Winning this is a feather in the cap to the community,” said Carroll. “It’s really a tribute to everyone who has kept that building alive over the last 100 plus years. Yoopers are already aware of the hockey history here in the Upper Peninsula, but wining something like this will bring in a national recognition. Right now they are in contact with the NHL, the players association and Kraft. Over the next coming weeks and months they will be planning with them on events coming up. Stay with ABC 10 as these plans get finalized.